2 apartment house that is convenient walking distance to stores and bus stops. Lower apartment has 2 bedrooms and upper has 3. Covered front porch, brand new roof (fall of 2018). The exterior of the house was also painted fall of 2018. 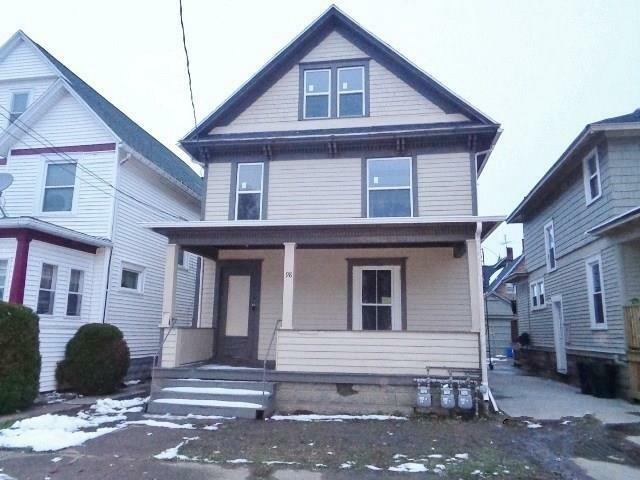 Perfect for an investment property! This Dunkirk home is not far from grocery store, drug stores, School#5, bank, hardware store, Laundromat, pizzeria/sub shop, can recycling center, dry cleaner, liquor store, breakfast/lunch restaurants and small general stores, just to name a few that are walking distance. ***Buyers must have proof of CASH funds(such as copy of bank statement or letter from a bank). Home NOT MORTGAGABLE_CASH ONLY!! Directions To Property: Courtney St To Lincoln, Turn North Onto Lincoln Ave.